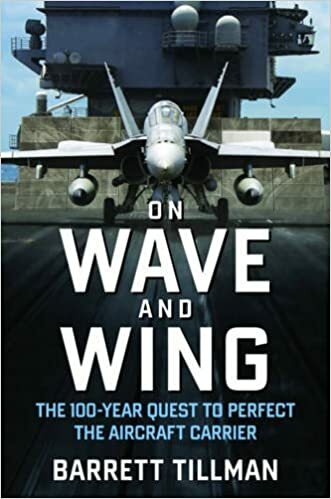 The following article on the Battle of the Coral Sea is an excerpt from Barrett Tillman’s book On Wave and Wing: The 100 Year Quest to Perfect the Aircraft Carrier. It is available to order now at Amazon and Barnes & Noble. The Battle of the Coral Sea was the world’s first naval battle in which aircraft carriers engaged each other. Japanese and Allied forces engaged each other, placing their pieces on the enormous chessboard of the Pacific Ocean. Following the Doolittle Raid of 1942, in which American forces bombed Tokyo in retribution of Pearl Harbor, the Japanese high command became convinced that U.S. Pacific Fleet carriers had to be destroyed. A plan quickly evolved to force them into decisive combat against superior odds in Hawaiian waters. Meanwhile, in early May the Japanese dispatched a convoy to land troops at Port Moresby, New Guinea, where long-range bombers could interdict sea communications with northern Australia, and extend the defensive perimeter for Japan’s major base at Rabaul, New Britain. American code breakers learned of “Operation MO” and provided Admiral Nimitz with ample intelligence. He countered with two task forces built around Lexington and Yorktown. Hornet and Enterprise were unavailable, just returned from the Doolittle raid. Nimitz had a good idea of Japanese forces. The Moresby convoy consisted of a dozen transports with escorts including a light carrier, while a covering force included the Fifth Carrier Division’s two flattops. A separate unit aimed at Tulagi, with an anchorage just north of Guadalcanal, largest of the Solomon Islands. In the lead-up to the Battle of the Coral Sea, the Americans decided to strike Tulagi before turning to face the carrier threat. However, communications concerns prevented Yorktown’s Task Force Seventeen under Rear Admiral Frank Jack Fletcher from coordinating with Lexington’s Task Force Eleven under Rear Admiral Aubrey Fitch. Nevertheless, Fletcher proceeded to launch strikes against Tulagi on May 4. In three waves “Old Yorky’s” air group swarmed the anchorage, sinking a destroyer and three minesweepers while damaging other vessels. The cost was three aircraft with all four fliers rescued. An exuberant news release claimed a major victory, with fourteen Japanese ships sunk. For the moment, the Japanese were forced off-balance. Knowing the advantage of mass in the military equation, on May 6 Fletcher merged Task Force Seventeen with Fitch’s unit and Task Force Forty-Four, a surface force of U.S. and Australian warships. His combined strength was two carriers, eight cruisers, and thirteen destroyers, plus two vital fleet oilers. In addition to some 130 carrier planes, he benefited from long-range patrol bombers in Australia. The Japanese, in typically complex fashion, deployed five naval forces. They included a covering group with the light carrier Shoho and five escorts, and Vice Admiral Takeo Takagi’s striking arm: Carrier Division Five with heavyweights Shokaku and Zuikaku screened by eight escorts. 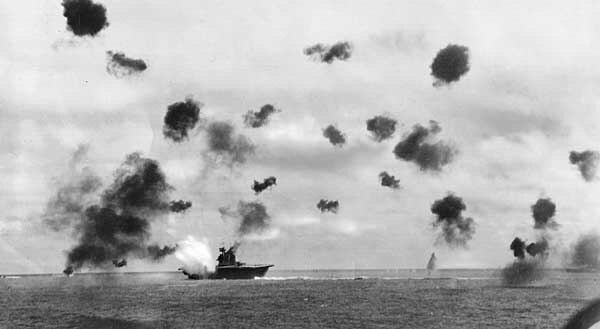 Combined Japanese air strength at the Battle of the Coral Sea was 141, with 127 under Takagi and fourteen in Shoho. Mindful of the Moresby-bound force, on the morning of May 7 Fletcher detached Task Force Forty-Four to watch the passage off the east tip of New Guinea. At the same time both U.S. and Japanese carrier forces lofted scout planes, seeking each other. Around 7:30, multiple Japanese searchers, both ship and land-based, reported several sightings. At that point the situation became clouded in the inevitable fog of war. A Shokaku searcher reported an unidentified carrier with escorts nearly two hundred miles south of Takagi’s position. With practiced efficiency, Shokaku and Zuikaku launched seventy-eight planes in fifteen minutes. The aircrews set course, unknowingly targeting the U.S. replenishment unit, oiler Neosho and a destroyer. An hour after the initial Japanese sightings, their ship-based floatplanes found Fletcher. Within minutes it was the Americans’ turn as a Yorktown scout spotted the force screening the Moresby invasion convoy. The Dauntless pilot erred by encoding his contact report as two carriers and escorts—an early lesson in the importance of sending vital information “in the clear.” Fletcher, with no reason to doubt the intelligence, shot his bolt. Both air groups cleared their decks, with ninety-three planes winging outbound just minutes before the SBD pilot delivered a corrected, accurate assessment. About that time, the B-17s found the invasion force including Shoho. Fletcher radioed his strike leaders to proceed to the position plotted by the Army aircrews. In the far-flung battle both sides began landing blows. Imperial Navy scouts realized that the tiny oiler force had been erroneously reported, and passed the word. Still, the tactical picture remained clouded, and after failing to find the U.S. carriers, Takagi directed an attack on the oiler unit. The two American ships were swarmed by three dozen Aichi dive bombers, which scored ten hits, instantly sinking the destroyer Sims and mortally wounding Neosho. Meanwhile, sixty miles to the north, Lexington and Yorktown squadrons spotted Shoho. Her few Mitsubishi A5M and A6M fighters could not prevent a determined attack. Directed by Commander William B. Ault, “Lady Lex’s” pilots pummeled the little flattop with half-ton bombs and torpedoes. Next the Yorktowners piled in, savaging the target nearly dead in the water. Struck by as many as thirteen bombs and seven torpedoes, she sank with 630 of her 834-man crew. Reportedly Lieutenant Commander Robert Dixon, heading Lexington’s scouts, radioed, “Scratch one flattop!”—though his language may have been saltier. The ninety remaining American planes returned to the task force, catching arresting wires on the two victorious carriers while Fletcher pondered his options. The Japanese invasion force, deprived of air cover, reversed helm to await events. That afternoon more communications complications arose. Japanese searchers reported Task Force Forty-Four, which became confused with the U.S. carriers. Shokaku and Zuikaku sent twenty-seven dive and torpedo bombers after Fletcher. But American radar proved a huge advantage, plotting the inbound raiders. A combat air patrol (CAP) of Grumman Wildcats clawed for altitude and pounced on the searching Japanese with lethal results. Nine bombers went down, as did three F4Fs. In the milling twilight confusion, some of the surviving Japanese overflew Task Force Seventeen. A few entered Yorktown’s traffic pattern but escaped the astonished Americans. The eighteen remaining Japanese bombers navigated 120 miles to their own decks and recovered at the end of a long, confusing day. At sunset on May 7, 1942, for the first time in millennia of naval combat, a fleet engagement had been fought beyond range of sailors’ vision. More action was due the next day. Although the ordnance department claimed that the torpedoes could be dropped at an altitude of 500 meters, we found by experience that only 10 per cent would run properly at 200 meters and 50 per cent at 100 meters. Consequently, an effort was made to drop at from 20 to 50 meters. Since the aircraft torpedo was dropped at short ranges, the low altitude also afforded protection because of depressing limit of AA guns. Pilots were instructed to attempt to drop the torpedo in such a manner that it struck the ship immediately after it leveled off at set depth. Of course conditions varied but a standard drop was made from a range of 600 to 400 meters, at a speed of 160 to 170 knots and at an altitude of from 20 to 50 meters. The aircraft torpedo was armed immediately after striking the water. It weighed 800 kg. 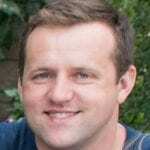 [1,760 pounds] and had a 145 kg. [320-pound] warhead. The above tactics were used by our carrier planes against your Lexington. After the battle of the Coral Sea the size of the warhead was increased to 220 kg. [485 pounds]. As before, Japanese carrier- and land-based aircraft began the day by seeking the U.S. force. Almost simultaneously the Americans lofted eighteen scout-bombers on a two hundred-mile search. Within minutes of 8:20 both sides learned the other’s location, nearly 250 statute miles apart. Though the Japanese planes outranged the Americans’, both forces turned to engage. Shokaku and Zuikaku combined to launch fifty-one dive and torpedo bombers screened by eighteen Zeroes. In contrast, Lexington and Yorktown dispatched separate strike groups totaling sixty attackers with fifteen Wildcat escorts. It was a close race as both sides launched within ten minutes of each other. The Yorktowners arrived first, finding the enemy force partially concealed by clouds. The strike leader, Commander William Burch, orbited his Dauntlesses to allow the Devastators to arrive for a combined bombing-torpedo attack. The SBDs rolled into their dives shortly before 11:00 a.m., opposed by sixteen Zeros. Zuikaku was obscured by clouds, so the Dauntlesses concentrated on Shokaku, inflicting major damage to the flight deck and forecastle. Two SBDs went down, including Lieutenant Joseph J. Powers who had vowed “to lay one on the flight deck”—and did it. Two Zeros also splashed, but the remaining TBDs missed with their nine torpedoes, leaving Shokaku damaged but operable. Lexington Air Group was thirty minutes behind. By then Zuikaku was visible, and a few Lex SBDs split their attack, adding another hit on Shokaku. Cloud cover favored the defenders, however, and few Dauntlesses found a target. Again the TBDs were ineffective, scoring no hits with their eleven torpedoes. The Zeroes won a victory of sorts, splashing three Wildcats for no further losses. Before the last American planes departed the area, their own ships were dodging bombs and torpedoes. At 11:00 Lex’s radar “painted” hostile aircraft inbound from the north, distance seventy-five miles— good performance for the equipment. It gave the defenders twenty-five minutes to react. The Japanese targeted both carriers, about a mile and a half apart, with most attackers getting in above the CAP. Yorktown evaded the “fish” aimed at her, but Lexington, bigger and less agile, took two torpedo hits. Shipboard gunners downed four attackers before additional damage could be inflicted. Aichi dive bombers then swarmed both flattops. Attacking from fourteen thousand feet, they committed nineteen on Lexington and fourteen against Yorktown. “Lady Lex” took two hits, starting fires that proved fatal. Yorktown’s attackers scored a serious center hit and perhaps twelve rattling near misses that sprung plates. Exiting the area, the Japanese encountered Wildcats and Dauntlesses deployed on “inner air patrol.” The SBDs were unable to compete with fast, agile Zeroes—three Dauntlesses dropped into the water, and three Wildcats also went down. Japanese losses to U.S. flak and fighters totaled twenty-three aircraft, but Zuikaku also pushed overboard a dozen that were badly damaged or took up space for homing aircraft. Tactically the Japanese won, as Lexington was far more valuable than Shoho, but strategically the battle was a victory for the Allies: the Port Moresby landing was cancelled. The Battle of the Coral Sea proved that carrier warfare imposed a high price. Each side lost a flattop. The U.S. Navy lost sixty-seven planes, and Japan lost at least sixty-nine as well as some patrol planes. Thus, the first carrier battle indicated that either side could expect to lose about half its embarked aircraft to combat, accidents, and wastage. The battle of the Coral Sea cost the U.S. Navy 611 men from ships companies and thirty-five aircrew. A Lexington SBD pilot, Lieutenant (jg) William E. Hall, survived the inner air patrol on May 8 to receive the Medal of Honor, while Yorktown’s Joe Powers and Lieutenant Milton Ricketts, a Yorktown engineer, were posthumously decorated. Badly damaged, Shokaku was forced out of the area, en route to repair in Japan. Zuikaku sustained no material damage, but her air group had been depleted, effectively removing Admiral Isoroku Yamamoto’s CarDiv Five from the next crucial operation. The ninety prewar aircrew who died at the Battle of the Coral Sea began a slow hemorrhaging for the Japanese that could not be stanched. This article on the Battle of the Coral Sea is an excerpt from Barrett Tillman’s book On Wave and Wing: The 100 Year Quest to Perfect the Aircraft Carrier. It is available to order now at Amazon and Barnes & Noble.